Grand Opening * Saturday Feb. 4th at 4pm. Pre-grand opening specials! Limited time only! Posted byTransformations Made Possible	 Monday January 30, 2012 Monday January 30, 2012 1 Comment on Grand Opening * Saturday Feb. 4th at 4pm. Pre-grand opening specials! Limited time only! We would like to invite you come celebrate with us at our new location in Goose Hollow. Although we are running CrossFit classes now. 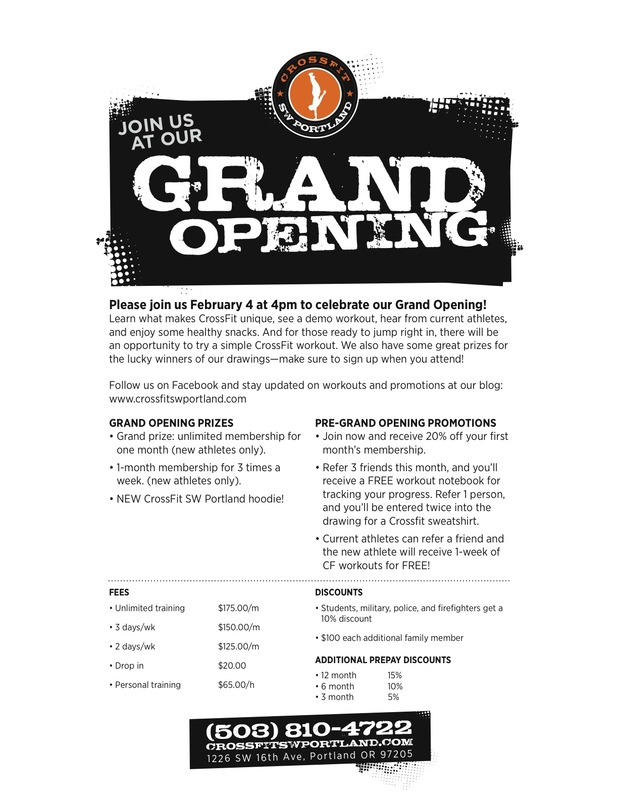 Our official grand-opening will be Saturday, February 4th at 4pm. We plan to have a an intro to CF, followed by a WOD, potluck, drawing to win one of several prizes and a toast. Our certified CrossFit Trainers take you through a warms up, skill, mobility training followed by a workout of the day. Trainers emphasis on proper form and movements to maximize your workouts and keep you fit, healthy and safe. *We are offering a special promotion of a 20% discount off your first month of unlimited membership when you sign up this month and are new to CFSWP. *Refer (3) people that sign up in January or February and get a free WOD book. *Refer (1) person and be entered into a drawing on Feb 4th to win a free CFSWP sweatshirt. *Current athletes – refer a friend and they get to enjoy (1) free week of CF to be used this month, if they sign up this month then YOU will be entered into a drawing to win a free CFSWP sweatshirt! 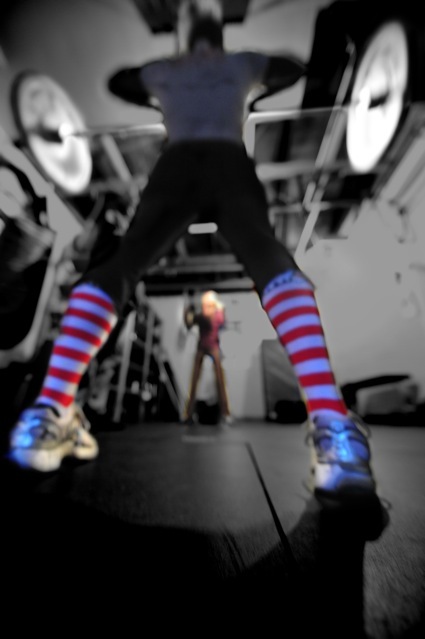 The prepared workouts at CrossFit SW Portland and excellent training are elements that make CrossFit unique and fun. Stick to your goals and be sure to get in here to maximize your results! RSVP with shannon@crossfitswportland.com for your free intro to CF session! i would like to try cf for a month with the 20% discount. I am thinking three times a week. I am an avid runner but would really like to do some serious strength training. When can I start and what do I need to do?